Between 1952 and 1969, the U.S. Air Force conducted a series of studies on UFO sightings called Project Blue Book. Not only is there a new History Channel series about the program, this year also marks the 50th anniversary of the project’s termination. Get to know the secretive program better. 1. Project Blue Book wasn’t the government’s first UFO study. In 1947, a private pilot named Kenneth Arnold reportedly spotted nine glowing UFOs zooming over Washington's Mount Rainier. The public went wild for the so-called “flying saucers.” Shortly after, the U.S. government launched Project SIGN to determine if such objects were a threat. In 1948, Project SIGN purportedly published a document called the “Estimate of the Situation,” which suggested that extraterrestrials were a possible explanation for UFO sightings. As the story goes, Air Force officials destroyed the document and launched a more skeptical investigation in the late 1940s called Project GRUDGE. Blue Book came a few years later. 2. The “Estimate of the Situation” was inspired by a mind-boggling event. In the 1960s, Air Force officials denied that the “Estimate of the Situation” document ever existed. Those who vouch for its authenticity, however, say the report was inspired by a 1948 UFO sighting in Alabama, after two experienced pilots saw a torpedo-shaped “glowing object” zip past their aircraft and rocket into the clouds. The report shocked and baffled many of Project SIGN’s researchers, though scientists would later claim the sighting was consistent with a bolide, or bright meteor. 3. “Blue Book” was named after a college testing staple. Whether UFOs are extraterrestrial in origin is debatable. What’s undeniable is that, during the 1950s, people routinely spotted (or thought they spotted) objects flying over the United States—and it was the onus of the U.S. military to figure out what they were and whether they posed any danger. Blue Book would earn its name because, at the time, Air Force officials equated studying the phenomenon with preparing for a collegiate “blue book” final exam. 4. 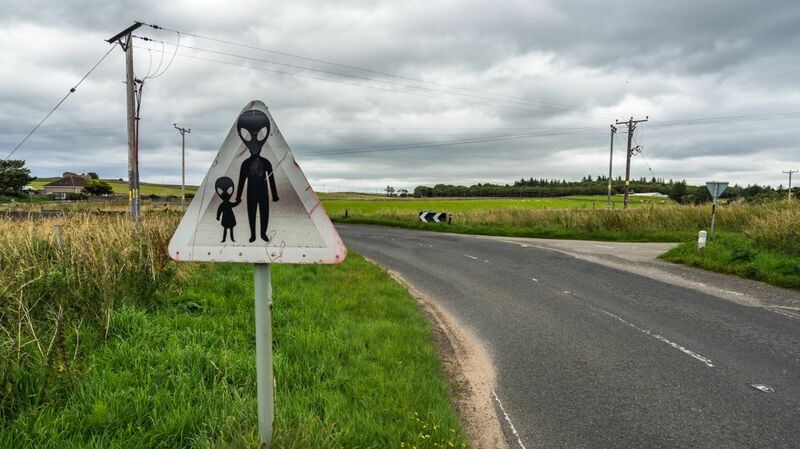 Officials developed a special protocol for handling UFO sightings. A central part of Project Blue Book was the creation of a standardized questionnaire for UFO sightings. Some sample prompts: “Draw a picture that will show the shape of the object or objects … What was the condition of the sky? ... Did the object: Suddenly speed up and rush away at any time? Change shape? Flicker, throb, or pulsate?” Eventually, every U.S. Air Force base ended up designating a special officer to collect these UFO reports. 5. Thousands of reports were collected—and some haven’t been explained. 6. Project Blue Book saw five leadership changes. Each person in command saw the purpose of Project Blue Book differently. Captain Edward J. Ruppelt, for example, treated the job as a serious scientific quest and is often lauded as the project’s most impartial leader. (Notably, he is responsible for coining the term UFO.) Major Hector Quintanilla, who took over the project in 1963, was more interested in turning Blue Book into a PR front and focused on quelling the public’s interest in UFOs—a desire that would eventually lead to charges of a government cover-up. 7. 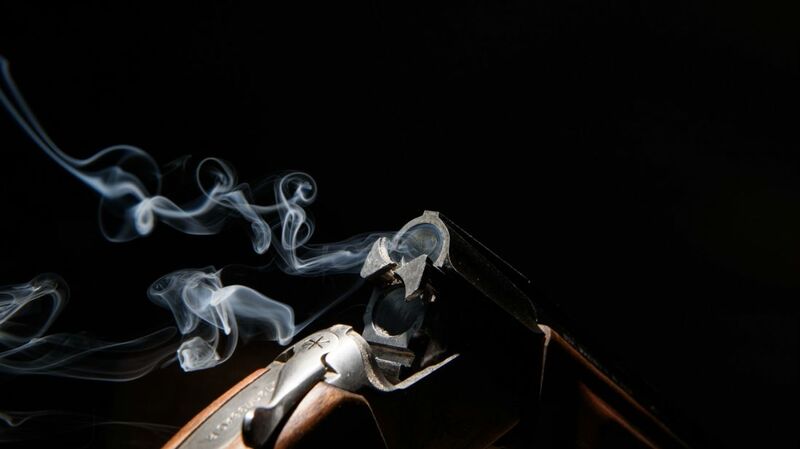 Blue Book made such bad scientific mistakes that Congress had to get involved. In 1965, Oklahoma Police, the Tinker Air Force Base, and a local meteorologist using weather radar independently tracked four unexplained flying objects. Under Quintanilla’s advisement, Project Blue Book would claim that these witnesses had simply observed the planet Jupiter. The problem with this explanation? Jupiter wasn’t even visible in the night’s sky. “The Air Force must have had its star finder upside-down during August,” Robert Riser, an Oklahoma planetarium director, said at the time. A series of more badly botched scientific explanations eventually led to a congressional hearing. 8. The Project’s desire to dismiss unidentified phenomena bothered its sole scientist. 9. In 2007, a new government Inquiry into UFOs was launched. Between 2007 and 2012, the U.S. government spent $22 million on a new UFO study called the “Advanced Aviation Threat Identification Program.” (Nowadays, UFOs are called UAPs, or "Unidentified Aerial Phenomena": You can watch one here.) This January, more than three dozen of the program’s studies became publicly available, revealing the government’s interest in everything from warp drives to invisibility cloaks. By 1870, Charles Dickens had reached the height of his fame. The British novelist had concluded his second reading tour of the U.S., where fans stood in line for hours just to be in the same room as the literary superstar. His last three major works—A Tale of Two Cities, a historical novel; Great Expectations, a coming-of-age story; and Our Mutual Friend, a social satire—had all been critical and commercial successes. For his next project, he chose a darker genre to explore. The Mystery of Edwin Drood is a whodunit set in Cloisterham, England (the fictionalized version of Dickens’s hometown of Rochester). In the tale, Edwin Drood is engaged to be married to Rosa Bud, but his fiancée has attracted romantic attention from two other men in town: his uncle John Jasper and the hot-tempered Neville Landless. Tensions boil over when the three men spend an evening together, and Landless nearly chucks a wine goblet at Drood. Days later, Drood disappears without warning, and though foul play is suspected, the culprit’s identity is unclear. Before starting the book, Dickens wrote to his friend and biographer John Forster that he had “a very curious and new idea for my new story. Not a communicable idea (or the interest of the book would be gone), but a very strong one, though difficult to work." 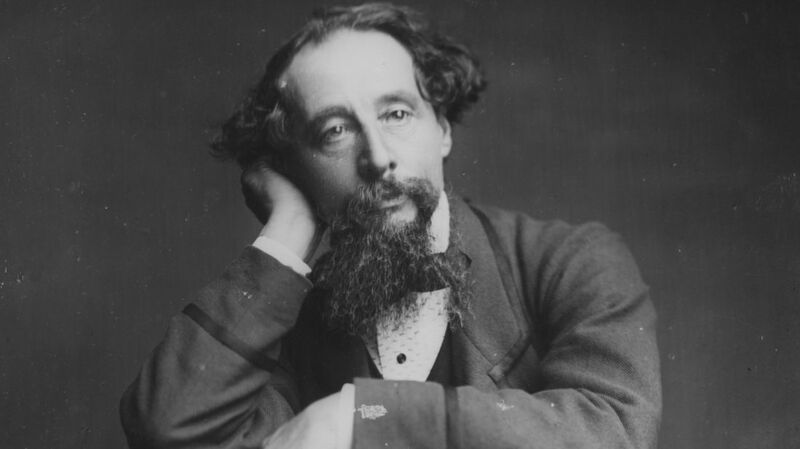 The writer’s vision would never be fully realized, however; Dickens died of a stroke on June 9, 1870, at age 58 after publishing the sixth installment of The Mystery of Edwin Drood—which was meant to be serialized in 12 parts. The author took the ending of his final novel to the grave, and to this day, the full plot of The Mystery of Edwin Drood remains mysterious. There was, however, one person he came close to sharing his secret with: Queen Victoria. To the people who knew Dickens, she seemed like the last person he would confide in. Queen Victoria was one of the few people who rivaled Dickens’s fame in mid-19th century Britain. She held the throne from 1837 to 1901, making her the longest-reigning monarch in British history at the time of her death. The queen devoured literature—she also published a book of her own, Leaves from the Journal of Our Life in the Highlands, in 1868—and like many of her subjects, she enjoyed the works of Charles Dickens. She described Oliver Twist as “excessively interesting,” and tried many times during her reign to set up a meeting with the author. But for 22 years, Dickens declined. Dickens wasn’t as enchanted with royalty as some of his peers. To him, Queen Victoria was "merely a provincial devotee,” and he didn’t feel compelled to meet this one fan out of many, even if declining a royal invitation was a great violation of social norms at the time. Despite the insults implied with each rejection, the queen persisted—and in March 1870, she finally succeeded in getting the most famous novelist in England into her palace. Yet Dickens also didn’t exactly go out of his way to make Victoria happy. When the queen expressed regret over never making it to one of Dickens’s famous live readings, he told her didn’t do private shows (a statement that wasn’t entirely truthful). Dickens instead offered to share something with her on his terms: the ending of the novel he was currently writing, The Mystery of Edwin Drood. It's possible Queen Victoria didn't realize the full significance of this gesture; Dickens hadn’t shared the full ending of the book with anyone, and as far as historians know, he hadn’t written it down anywhere—an unusual move from the normally meticulous note-taker. Whatever her reasons, the queen said 'no thank you,' and the rest of their conversation consisted of much less historically important matters, such as rising food prices and how hard it was to find good servants in England. Dickens died less than four months later. Following their meeting, Queen Victoria had described Dickens as "very agreeable, with a pleasant voice and manner." After his death, she wrote in her diary, "He is a very great loss." Charles Dickens was known for his cliffhangers, and dying halfway through writing his last novel produced the greatest cliffhanger of his career. Whatever ending he had planned for The Mystery of Edwin Drood, it likely wouldn’t have matched the 150 years' worth of mystique that has developed around the story. Some have claimed they were in on the secret. John Forster, a friend with whom Dickens often shared his work before publishing it, wrote in his biography of the author that Drood ends with the discovery of Edwin’s lime-resistant gold ring. This apparently confirms speculations that John Jasper murdered his nephew and dissolved his remains in lime. Other scholars and writers have attempted to solve the mystery on their own over the years. In 1914, the Dickens Fellowship held a mock trial for Jasper, with G.K. Chesterton serving as the judge and George Bernard Shaw as the foreman of the jury. (The fictional character was found guilty of manslaughter.) In 2015, the University of Buckingham set up a website called Drood Inquiry, where the public could submit their theories on the book’s conclusion. The ending that pinned Jasper as the murderer was by far the most popular, but the project also attracted some more surprising ideas. According to one submission, Edwin Drood was killed by the sweet mother of the local reverend. All of this speculation might have never have happened if Queen Victoria had agreed to hear the ending Dickens offered to share with her. Instead, she lived out the remainder of her life just as in the dark about what the writer intended as the rest of us—even if she was lucky enough to once share in his company.